You make a living by what you get. You make a life by what you give.” ~Winston Churchill. Ever the insightful leader, Churchill, in this profound quote, aptly summarizes the mindset shift that resulted from our first encounter with PYXERA Global through its facilitation service for Global Pro Bono (GPB) programs. The meeting set the DreamOval Foundation on a new path by connecting us with SAP in early 2016. The partnership materialized when three pro bono consultants, via SAP’s Social Sabbatical for executive engagement program, arrived in Accra, Ghana in April of that year to give their time and talent over a mere two weeks of immersion, to focus on a series of targeted recommendations to expand the scope of our teacher training initiative. In the time since, the effect of this union on the DreamOval Foundation—a Ghanaian nonprofit that implements education programs to help Ghanaians thrive—has been transformative. We always wanted to be bold in our ambition to close the skills gap in Ghana, and now we have the tools, perspective, and confidence to realize these dreams. The ripple effects of the engagement, beyond newly streamlined processes and a growth roadmap, include entirely new initiatives for the Foundation. Whereas prior to the immersive engagement, DreamOval was spinning its wheels trying to scale its education strategy, the learnings and recommendations breathed new life into our mission by helping us to advance it with greater purpose. The Ghanaian government now officially recognizes our teacher training certification for teacher promotion. 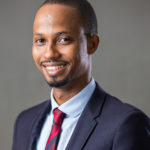 Through the experience of working with the public sector, our capacity to offer free Information and Communications Technology (ICT) training has also grown, allowing DreamOval to drive deeper social impact across Ghana and beyond. Now one year after the engagement with the executive pro bono team, DreamOval Foundation is proud to report 100 per cent growth of its ICT education solutions during the recently held iTeach training for teachers. As part of DreamOval Foundation’s mission to reach the underserved, we recently embarked on a new endeavour called Females in Tech Initiative (FemiTI) in 2018. The program aims to introduce girls from underprivileged communities to Science, Technology, Engineering, and Math (STEM) and the Internet of Things (IoT). 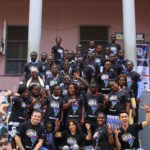 The inaugural class of FemiTI, which is sponsored financially by SAP and inspired by the Social Sabbatical initiative, will include 200 girls who will be introduced to STEM education to help close the skills gap, and more importantly, to encourage them to positively influence the world around them. Now one year after the engagement with the executive pro bono team, DreamOval Foundation is proud to report 100 per cent growth of its ICT education solutions during the recently held iTeach training for the teachers, allowing for a much broader positive influence. 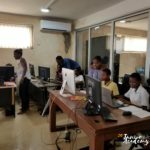 As part of DreamOval Foundation’s mission to reach the underserved, we recently embarked on a new endeavour called Females in Tech Initiative (FemiTI) in 2018. The program aims to introduce girls from underprivileged communities to Science, Technology, Engineering, and Math (STEM) and the Internet of Things (IoT). The inaugural edition of FemiTI, sponsored financially by SAP and inspired by the Social Sabbatical initiative, will see 200 girls introduced to STEM education to help close the skills gap, and more importantly, to provide skills for these girls subsequently providing a broader opportunity to impact their communities. SAP is among a growing number of multinational companies engaging in Global Pro Bono programs designed to achieve a triple impact where the company benefits, the pro bono participant benefits, and the host organization benefits, each in a multitude of ways. In the case of SAP, the Social Sabbatical program has defined education, particularly bridging the digital divide, as an overarching objective for its global engagement. It is in this way that SAP inspired a new partnership for DreamOval Foundation, with another Social Sabbatical host client, the enterprise development nonprofit Socialab based in Colombia. We met at PYXERA Global’s Global Engagement Forum: Live in the Washington DC metropolitan area this fall, and the potential to deepen our impact through partnership was clear. The collaboration will seek to replicate FemITI in Columbia to reach underserved Colombian girls. We are eager to go global in our education efforts and we trace our trajectory of impact back to our experience with GPB. Our introduction to GPB via PYXERA Global has brought us immense benefit, the extent to which we honestly cannot quantify. The impact of the 2016 exchange with SAP will continue to improve lives in Ghana as we drive our programs within the country and across West Africa. We are inspired by this collaboration and continued relationship with PYXERA Global and we agree with the following statement from Oscar Wilde: “The smallest act of kindness is worth more than the grandest intention.” This is not meant to suggest that GPB is another form of charitable giving. We recognize that it is much more than this, but rather the act of engaging on a human level holds tremendous value, and the world needs more of this. Today, that one encounter with the SAP has brought us great opportunities. We continue to bask in the energy to support others in reaching the pedestal of success. As SAP has had a tremendous impact on the DreamOval Foundation, the momentum charges forward through our mission to educate, empower, and support thriving individuals and communities.